Set Menu & Buffet Options to Suit the Whole Family! 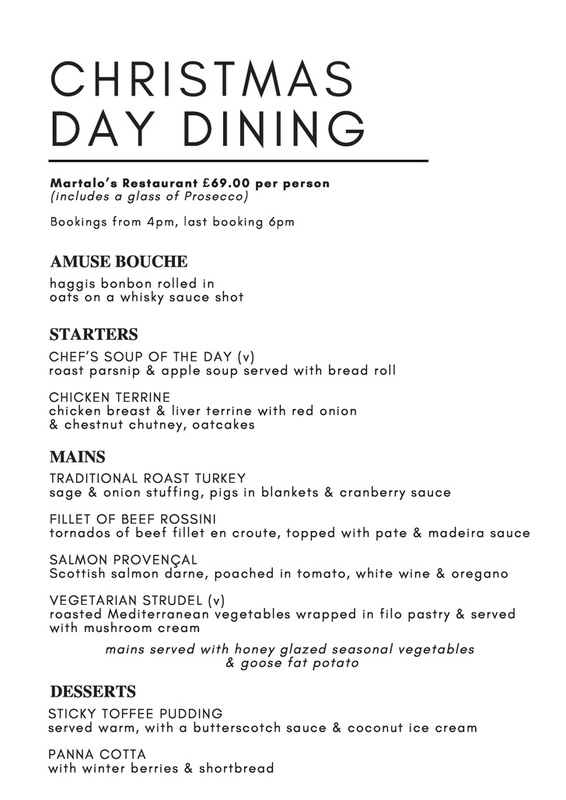 Our chefs prepare a Christmas Day feast for the whole family. 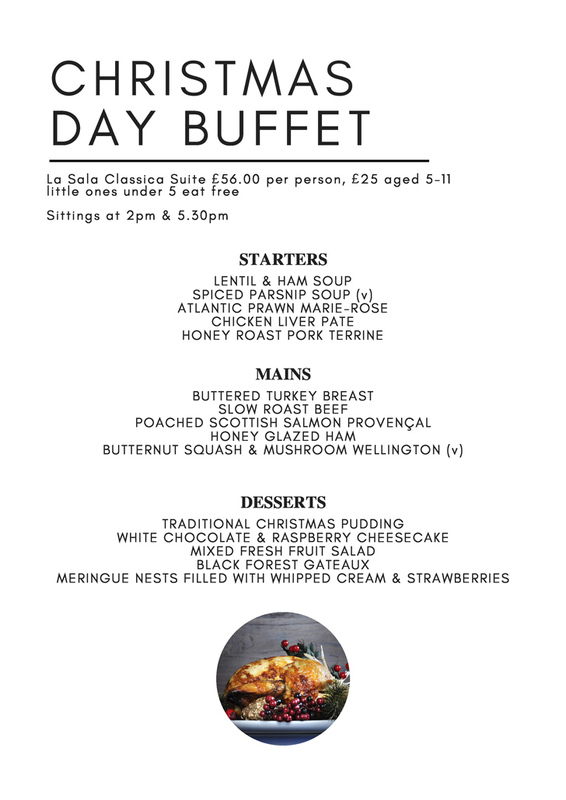 Choose between our Festive Set Menu at Martalo’s Restaurant or our full buffet in the La Sala Classica Suite. Price (Children): £30.00 aged 5-11, kids under 5 eat free! 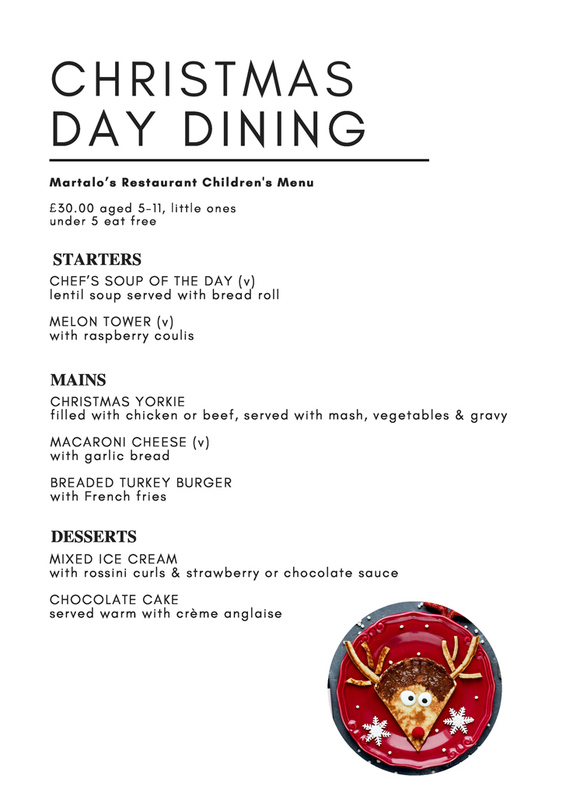 Price (Children): £25.00 aged 5-11, kids under 5 eat free! Click Here for a Full List of Our Festive Events & Offerings!